Doors open at 6:00, followed by a short reading and acknowledgements at 6:30. 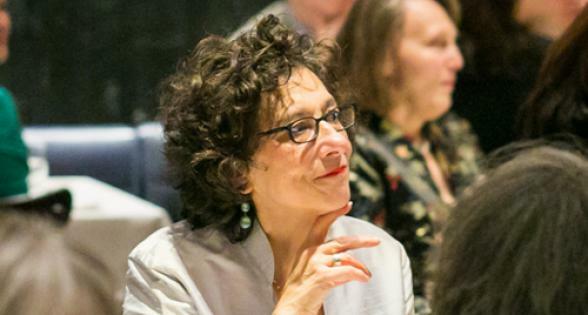 Reception to follow in Poets House’s Margo Viscusi Reading Room. 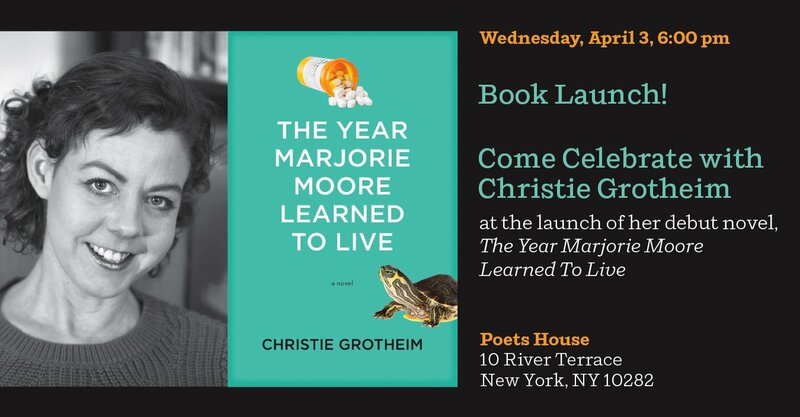 Join us in celebrating the release of Christie Grotheim’s debut novel, The Year Marjorie Moore Learned To Live, from Heliotrope Books. Marjorie Moore always wants more—and as a result, often feels she ends up with less. Forever searching elsewhere, she is consumed with wanting, or in her opinion, needing. Feeling trapped by her town and her family, she escapes through shopping, pill popping, and fantasizing about a possible affair with a friend from high school. Her growing credit card debt “forces” her to sell prescription drugs—which she secures at her receptionist job at the local hospital—to her dysfunctional friends. As her web of lies at home and work unravels, Margie struggles to become fully present in her own life.